Naples, or as the Italians say, Napoli, when you speak of the city, is always worth a visit. Here you will find a lively and modern city, but also a museum. For this fascinating city and the surrounding area, you will definitely need a rental car from a local car hire company, which you can book in advance at the Internet price comparison and pick up at the Naples Capodichino Airport NAP pickup point. Your holiday will be an unforgettable journey through the centre of Italy and Rome is not far from here if you have a car rental company. You can reach and visit all interesting places and historical sites individually and independently of local tour operators or public transport. 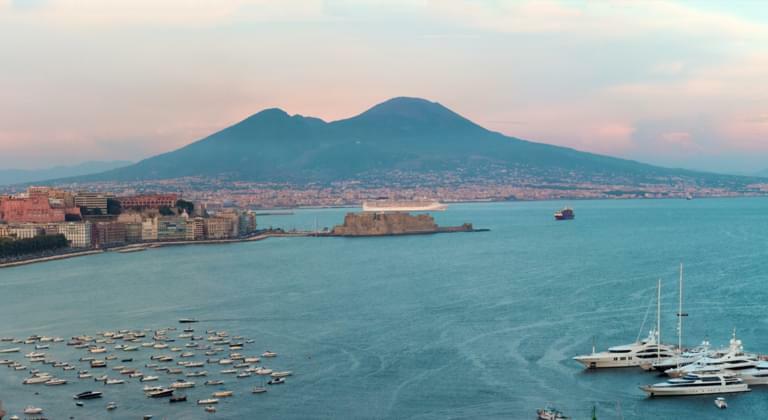 With a rental car, which you could rent in advance, you can arrange your holiday in Naples exactly the way you want it. In addition to the lively city with its good shopping facilities in the well-known boutiques, Pompeii and Sorrento, for example, are also waiting for your visit with a rental car, which you could find and rent cheaply on the Internet. The Napoli Capodichino International Airport (NAP) is located in the middle of the densely populated city of Naples, only 7 kilometres from the city centre. It is one of the most important Italian airports next to Rome airport, both in terms of passengers and cargo. Flights to and from most airports throughout Europe take off and land here. In spite of its only two terminals, it is relatively confusing, as it is very heavily frequented and has already found its capacity. Further expansion is not possible, however, as Napoli airport is located in the centre of the city. In both terminals there are information counters, restaurants and snack bars with traditional Italian dishes such as pasta and pizza, but also cafés and bars with traditional drinks such as coffee, wine or soft drinks. In addition, there are the many small shops offering a wide range of different goods. Italian fashion is just as much a part of this as books, foodstuffs or souvenirs. Especially at Naples airport, it is important that you use the luggage storage facilities offered here during a longer stay or when you visit the car hire service for your rental car. Where is the pick-up point for your rental car at Naples airport? If you go from the baggage carousels through the airlock to the arrival terminal in the hall, you will see the pick-up station of the car rental for your rental car, which you could rent in advance at a favourable price via the price comparison on the Internet directly here in the arrival area. If you receive the key for your car from the car rental company, the deposit, which is usually paid by credit card, will be due at the same time. After your holiday, when you return the car to the Naples NAP airport pick-up point, this deposit will be refunded. Your car will then be parked in one of the car parks around the airport, and you will find the relevant information at the car rental pick-up point where your rental car is located. Car is ideal as the airport is only 7 km from the city centre. By rental car you will reach the Tangenziale di Napoli via the access road, which will take you directly to the city centre. On the other hand, the A 16 and A 1 motorways will take you from the city to the south or north, depending on where you want to go during your holiday in Italy. Of course, there is also a public bus service that will take you directly to the city centre, but it is usually crowded. There is currently no subway connection at Naples airport. It is therefore advisable to find and rent a cheap car at the airport car rental pick-up point via the Internet. In this way you are independent of public transport or local tour operators and can individually plan your holiday in and around Naples. Next to Rome, Naples is also a very fascinating city in Italy and due to its location is also called the gateway to the south of the boot. Already the city itself has a lot to offer, which you can discover on a round trip with your rental car, which you could find and rent cheaply in the Internet via the price comparison. The Chiaia district with its exclusive pedestrian zone. The near surroundings of Naples is also very well worth seeing and with the car hire of a car rental company, which you could rent in advance on the Internet cheap could also be reached quickly. Here you should drive by car to the sunken city of Pompeii as well as to Herculaneum, which was also a victim of Vesuvius. Both sites are close to each other and are only 25 minutes by car from Naples by car. Something completely different awaits you in Sorrento, which can be reached by car in about an hour from Naples. Here you can drive along the coastline and enjoy the sea view with the car of a car rental company, which you could rent cheaply via the online price comparison. And for a day trip, it is even worth making a detour to Rome. Of course, traffic rules in Italy are similar to those in the rest of Europe. However, the Italians like to drive temperamentally and you should adapt to the driving style and ask for information about it beforehand. There are also many scooters on the streets, which often don't follow the rules, but are located between you and your rented car, which you have found cheaply on the Internet through the price comparison and the other cars meandering through. A navigation system should ideally own the car you found at a reasonable price, which you could rent on the Internet, because the road signs are scarce in Italy. You should observe the speed limits for the roads, otherwise a fine may be higher. You must also observe the obligation to wear a seat belt, which applies not only to you and your children, but also to the dogs you carry with you. In addition, children need a child seat if they are under 12 years of age and under 1.50 metres. We would also like to point this out directly when you book your rental car for a car rental company, which you could rent cheaply on the Internet. The alcohol limit of 0.5 can quickly be exceeded, so do not drink alcohol at the wheel in your car of a car rental company, because the infringement can be very expensive. Telephoning with a mobile phone at the wheel also entails heavy fines. On Italian roads outside of towns and villages, you must always turn on the lights on your car during the day, regardless of whether the sun is shining or it is raining. On white stripes on the curb you can park your car free of charge, blue must be paid for. If, on the other hand, there is a yellow-black or yellow marking on the kerbstone, there is an absolute ban on parking private cars. Where is the nearest petrol station at Naples airport? Refueling at Napoli Capodichino Airport is no problem, as there are several petrol stations nearby the airport, which you can use for your rental car directly after you have picked it up at the pick-up station of the car rental company. Therefore, it is also irrelevant if you receive the car rental service, which you could rent cheaply through the online price comparison, with almost empty fuel tank from the car rental service at the pick-up station at the airport. For example, there are several filling stations on the Viale Commandante U. Maddalena, a filling station on Via Francesco de Pindedo and others in the immediate vicinity of Naples airport. Many petrol stations in Italy keep the midday rest between 12.00 and 15.00 o' clock and are then closed. This applies above all to filling stations on the country roads, often in towns and villages. However, the motorway filling stations usually have a 24-hour service. Pay attention to "Fai da te", which means self-service or "Servito", these are often found with tank maintenance service and in Italy. However, the self-service option is usually cheaper, sometimes up to 20 cents. Super petrol 95 octane is called "Senza piombo"in Italy, Super Plus with 98 octane is called "Benzina verde" and diesel is offered under the term "Gasolio". At the car hire company's pick-up point, ask for information on the fuel you need to refuel your rental car.